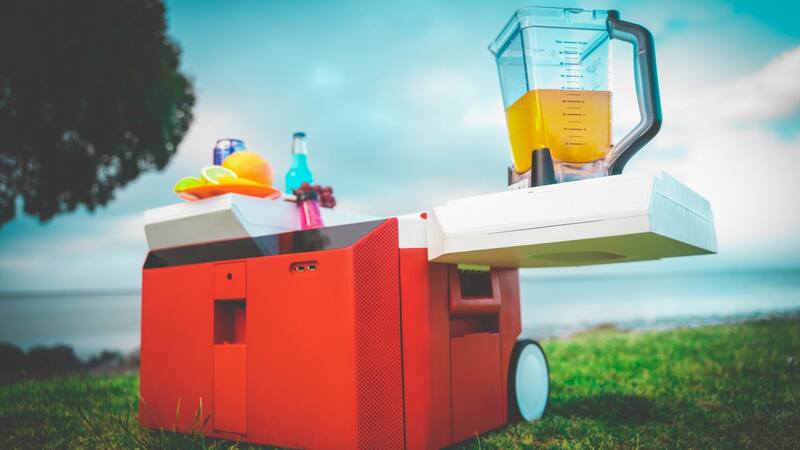 The Infinite Cooler, a new high-tech cooler has just launched on Indiegogo ($229) that promises to reinvent the simple cooler with an astonishing amount of versatility and high-tech features. 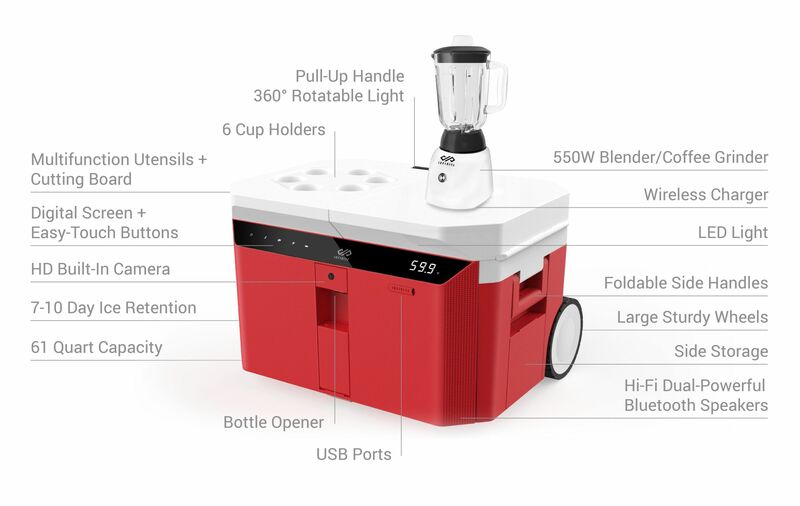 Designed by a team of experienced outdoor enthusiasts, engineers, and product designers, the 61-quarter cooler provides refrigeration capacity for up to 17 days of cooling, but adds significantly more, including a blender and coffee grinder, a Bluetooth speaker, and a USB charger. 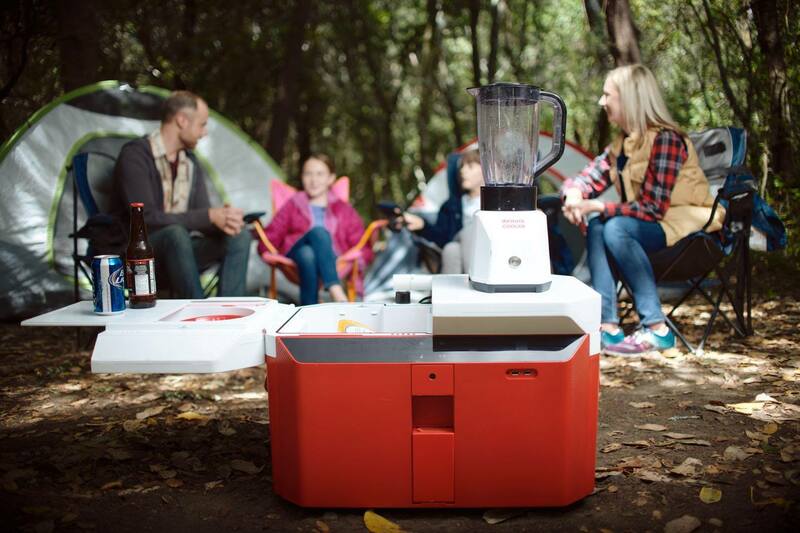 In addition to a touch screen with a dedicated music streaming and social media sharing app, the cooler also includes more utilitarian features, such as six cup holders, a cutting board with utensils, a bottle opener, and a corkscrew.